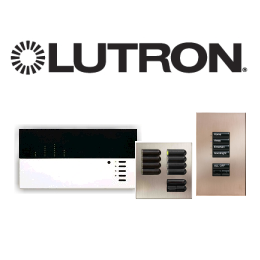 Whether your are looking to reduce energy costs, increase comfort, or manage light control solutions, Lutron is a manufacturer of the highest quality dimmers, fan controls and home automation products. Lutron is stocked at most Alpha Electric locations and is also available for quick shipment from the factory. Some of the more popular Lutron brands include the Diva, Maestro and Skylark lines of dimmers and fan controls, as well as Homeworks automation products. Lutron is well-known for their ability to produce devices in many different custom colors and finish types.